This isn’t your average split 12”—hell, what is an average split release anyway? You have two bands, sometimes doing completely different things, or two bands doing some likeminded things. While Cali’s Gravehill and Sweden’s Mordbrand run in similar genre circles, the music from both bands is not just diverse with regard to the split but also explores a bit of newer territory for each band. 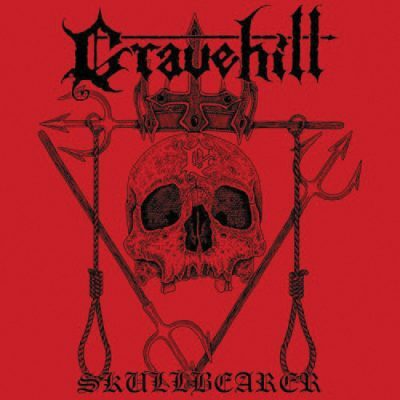 Gravehill’s Side A is the band’s previously released but highly limited (to cassette) EP, Skullbearer. 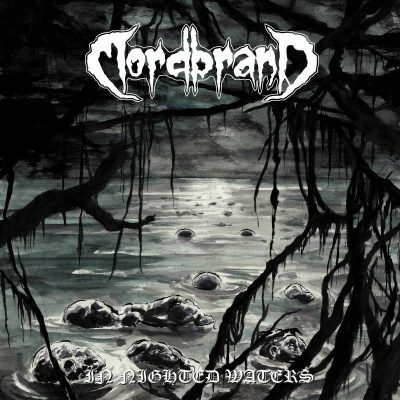 Side B for Mordbrand is a brand-new EP titled In Nighted Waters. Maybe this was not initially meant to be a split, but it is now—well, more of a two-for-one option on vinyl: two EPs on one piece of wax. Starting off, I’m going in reverse order of the split here. I hadn’t heard a lick of music from Mordbrand, but this introduction is outstanding, mostly straight-up Swedish death. It has that jugular-pulling, dirty, Swedish death metal guitar style running through it to pump out heavy and heavier riffing. The production is quite clean while keeping a raw edge throughout. Tempos, however, are multifaceted. There is some minimal keyboard work. The keys do not take an ounce of the death away and do not populate every song. The opening riffs from “Decimation Reigns” set the tone for the bands’ five decimating tunes. When Mordbrand aren’t pummeling with riffs, the breaks—interchanges from riffing and downtempo melodic stuff in between—keep things rolling like a rocket-fueled steamroller. “Parishioners of the Bleeding” has some great tremolo riffing that doesn’t really play out on any other songs—just a bit of the diversity that populates In Nighted Waters. It all ends in a fantastic bang. “Where Existence is Null” is a downtempo track that gets your mind thinking, “OK, this is going to close out a bit slow and dreary.” Nope! “Compost Christ” lays the sucker punches with a jackhammer fist that forms fast, chunky riffs with all the violence you expect from Swedish death metal elite!